We currently have openings in the Infant, Toddler and Pre-K Classrooms. For more information or to schedule a tour, please contact the ECDC Director at 412.441.1868. The Early Childhood Development Center (ECDC) opened its doors in 1990. It has evolved into a trusted child care center because of it’s stability and commitment to the Pittsburgh community and their families. 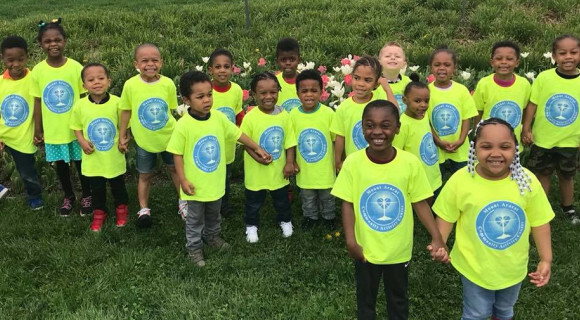 ECDC, a Christian based program, offers a comprehensive educational structure that focuses on the cognitive, emotional, and physical development of children from infancy to five years of age. To ensure that children are healthy and happy, the environment is safe, nurturing and stimulating. The Staff at ECDC make learning fun so that it produces in the children a high retention of knowledge learned—making their transition to the next learning level, up through to kindergarten, a natural and positive experience. We serve all children without regard to race, culture, social or religious background. ECDC is licensed by the Pennsylvania Department of Human Services and is a participant in the Keystone STARS continuous quality improvement program. ECDC presently has a STAR 3 status, and is working towards becoming a STAR 4. Operating hours are 6:30 AM - 6:00 PM, Monday through Friday. For more information or to schedule a tour, please contact the ECDC Director at 412.441.1868.